Great points of Electric Actuators! Pneumatic cylinders and electric actuators are both linear drive devices, but what is the difference? I will show you why electric actuators are popular. In comparison with pneumatic cylinders, I will introduce three points of the electric actuator. The pneumatic cylinder basically has two points, the start point and the end point (the stop positions). The electric actuator can set the place to stop, and it is also possible to stop at multiple places. Pneumatic cylinders can run at uneven speeds and lose precision depending on the state of the compressed air. But since the electric actuator moves with electricity, it can be operated stably. 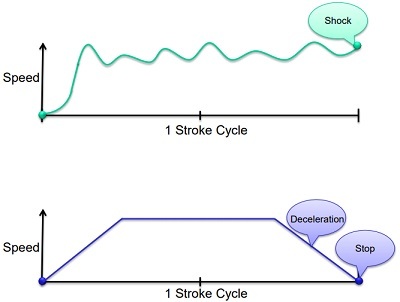 In addition, as it gradually decelerates before stopping, there is no worry of impact generated at the end of the stroke, even if the speed is raised. Visualization of production information has become indispensable in a factory where IoT is rapidly progressing. The current position, speed, alarm information, etc., can be visualized with this electric actuator. Data management by using the communication network is also possible. It may seem that there are no merits with pneumatic cylinders, but the great functions of electric actuators come with a price. It is expensive as well as heavy. 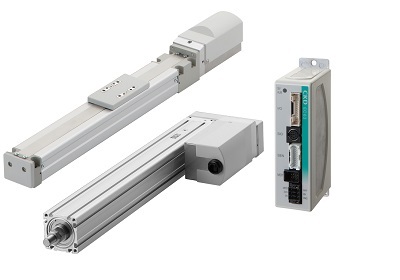 When simple motion is enough or when power is needed, the pneumatic cylinder is easier to use and more compact. We need to use air and electricity in an optimal and meaningful way.Click here for Electric actuators. © CKD Corporation. all rights reserved.